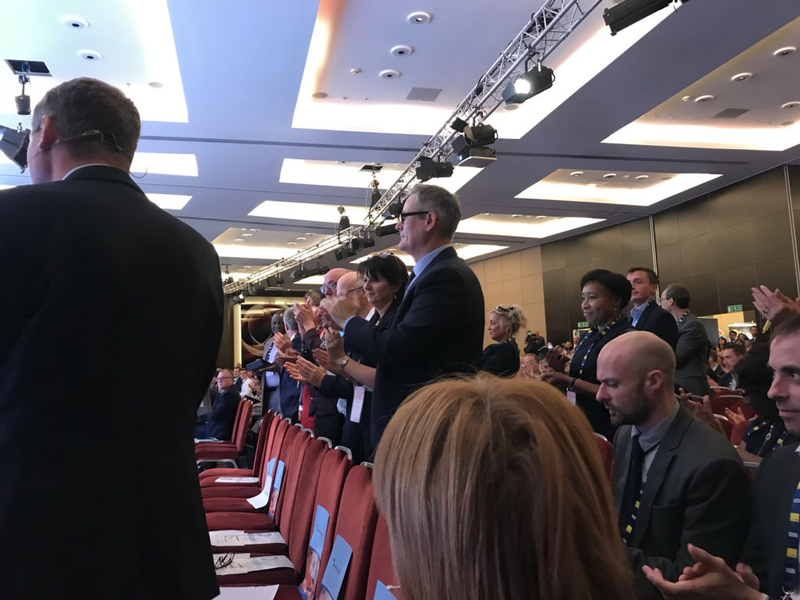 Housing association chiefs gave Theresa May a standing ovation for her speech to the National Housing Federation on Wednesday. There can’t be many audiences in the UK where she could expect that. Not many tenants feel they have anything to stand and cheer; nor do housing workers. Perhaps the assembled housing association leaders were intoxicated by the inflation busting average 4.3% pay increases their organisations gave them last year? The response Geeta Nanda, chief executive of Metropolitan Housing Association quoted in Inside Housing was typical “I think it [the speech] was fantastically rousing, actually, and absolutely what people wanted to hear in the audience.” But what substance was there? Warm words flattered them and gave a promise that their organisations would be favoured in future and May got a few rare positive headlines. Even the Tory head of the Local Government Association said the proposals missed the point. This was a combination of naivete and narrow self-interest on the part of housing association tops. The Daily Mirror pointed out that every year since 2010 there have been further cuts to the number of social houses let, according to the report by the Ministry of Housing, Communities and Local Government. By 2016/17, there were 70,000 fewer new social rent homes available compared to 2010. In total, there have been 213,501 fewer cheaper houses since the Tories came to power. Using the governments figures, the Chartered Institute of Housing have shown that housing associations were responsible for a loss of 46,972 social homes between 2012 and 2017. For housing associations only a small proportion of that loss will be a result of right to buy; primarily this loss is a result of independently determined policy. Jeremy Corbyn has argued that there can be no solution to the housing crisis that does not start with a mass programme of council house building. That is the urgent task; we need a labour governemnt committed to the radical policies set out by Jeremy. Surveys show that housing association staff feel their organisations have increasingly lost their social mission. Housing staff work hard to make a difference but often feel ignored by management – scandalously some associations have moved to muzzle the voice of their staff by derecognising unions. Given they are in receipt of huge amounts of public money and beneficial land deals they must be made accountable to local communities and forced to concentrate on social need. The housing association residents and tenants’ group that works closely with our branch, SHAC is organising this event at City Hall on October 4th.